Discussion in 'General Freemasonry Discussion' started by Bryan, Aug 6, 2009. Recently Eastern Star Lodge No. 151 F&AM in Winnfield, Louisiana lost one of our very dear Past Masters. Bro. Donald L. Brazzell age 61 passed away suddenly and unexpectedly. Bro. 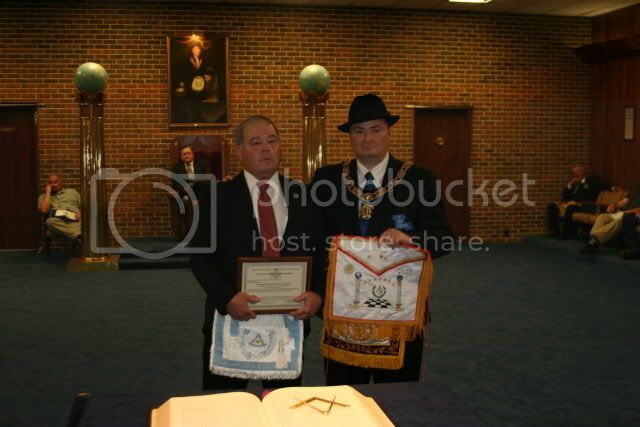 Brazzell's twin brother Ronald Brazzell is also a Past Master of Eastern Star Lodge. Bro. Ronald Brazzell's son in law, who is also a mason, is from Honduras. Immediately after Bro. Donald Brazzell's funeral Bro. 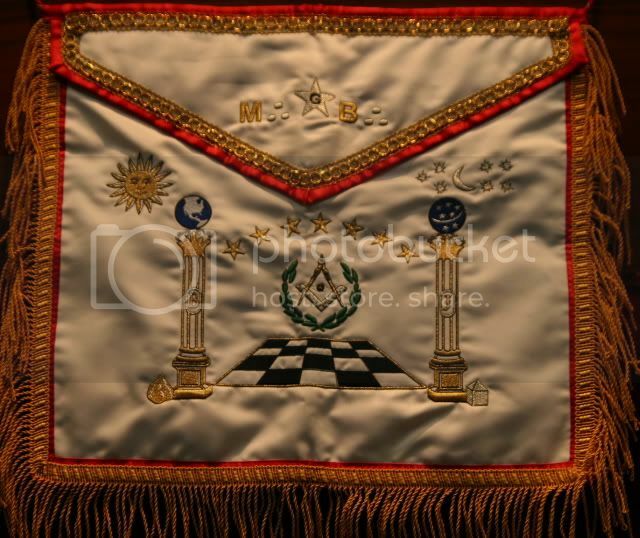 Dieter Fertsch a member of the lodge in Honduras presented me as Worshipful Master with a very beautiful apron. The apron was presented as an "Act of Solidarity" from Bro. Fertsch's lodge (Miguel Paz Barona No. 2, located San Pedro Sula Honduras) to Eastern Star Lodge No. 151 F&AM in Winnfield, Louisiana due to the loss of Bro. Brazzell. Please notice the front and back of this beautiful apron. 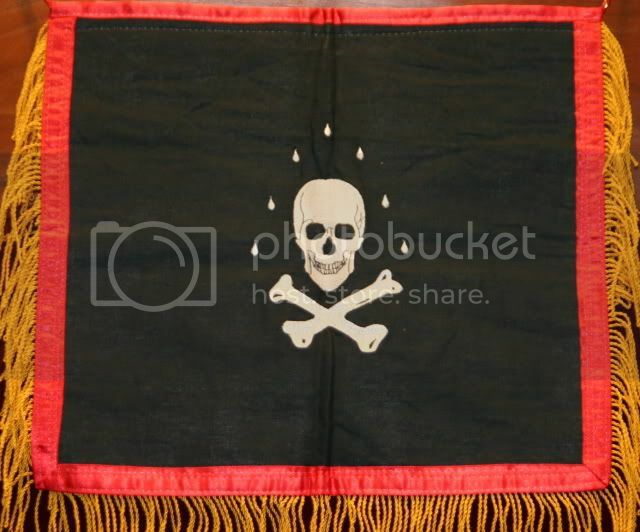 I am so sorry to hear of the loss your Lodge has experienced. But, What a beautiful apron! I am sorry for your lodges loss. Wow, that is a great way to remember a Brother. That is a beautiful present.